We are all in the business of Public Relations. I think back to my time as a celebrity publicist and what my role entailed. Essentially my client had a well known public persona and it was my job to ensure promotional activities reinforced that image. The ultimate aim being to keep the fans happy and have my client continue to be in demand. It is no different with every day individuals though we do it for ourselves. We do what we can to keep our fans happy, in most cases our fans include family, friends and colleagues. They all have an expectation of who we are and almost come to rely upon us not changing too much or at all. So we work out the magic formula and create a public persona that keeps everyone happy. We then spend everyday reinforcing it. How often have you heard yourself say “I would never do that”, “I have never liked that”, “I have always thought this” or “I only ever go there” the list goes on and on. Whenever you take a firm stance on who you are, you shut down any possibility of opening your mind to change and new experiences. Try as we may to stay the same, the universe will constantly test our resolve and whether we are open to it or not, change is inevitable. This hit me only last week on a typically mundane Saturday morning. Saturday morning in our household is reserved for children’s sport activities. In our case the boys have Karate. Have done for over three years. I think my Husband and I like it much more than they do. It gives us a false sense of hope that one day if they are ever in a sticky situation, they will at least be able to karate chop themselves out of it. So on this particular Saturday morning, like every other, we all piled in the car and headed to the Dojo. With spring in the air, we drove with all the windows down and let Jack Johnson’s melodic voice set the mood. Not sure if it was the smell of spring or the sound of Jack, but I became completely immersed in the moment. I looked over at my husband, my closest friend and the man who I love more than anything. I then glanced over my shoulder to the back seat at our two magnificent creations. My heart felt as if it would explode with love and in that moment I became so grateful for all that was. The thought that immediately followed was how only ten years ago I had convinced myself marriage was not for me, I would rather have dogs over children and investing in designer shoes was a worthwhile financial plan. I was jet setting all over the world and I thought I had figured out who I really was. I was so wrong. God only knows who I will be in another ten to twenty years. My husband is convinced I will end up an outspoken old lady with bright red lipstick wearing an outrageous outfit, I sincerely hope so. Life offers us the opportunities to change and when it feels right, I believe we need to learn how to go with the flow. In doing so we may lose friends, or fans so to speak, but this is part of life. If I had to choose between losing fans and losing myself to keep up appearances, well it really is a no brainer. No matter what you do or how much you may fear it, everything changes, including who you are on the outside and inside (more so when you are willing to let go and live in the moment). There is only one part of you that remains the same for all of your life. It is ageless, timeless and cannot be touched by the mind. It is the light, the source of life that resides within you at all times. The sacred space, that is always there to draw upon when you are ready. It is ultimately the only thing in life you can depend on remaining the same. If that is the case why hold onto who we think we are at all? 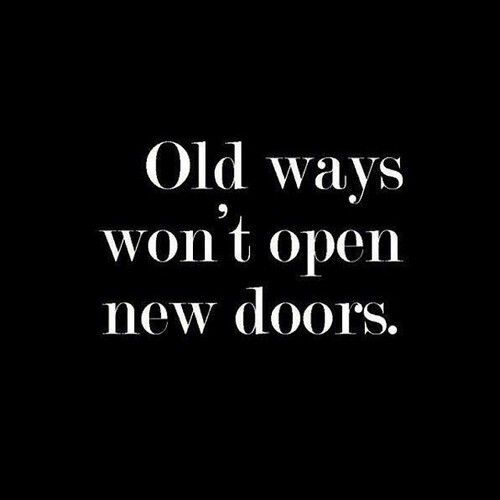 Why not be open to all new experiences and be willing to rewrite who we are on a daily basis? Why not give into all that life has to offer and try on as many different ways of being as possible? I believe the answer lies in the fear of losing fans. The fear that our loved ones won’t approve and will no longer accept us. So my thoughts are as follows- just as you change, so does your loved ones, in fact when you bravely face change, you give them permission to do the same. You inspire others to go with the flow and let go of who they think they are and simply be who ever they chose to be in each moment. I urge you to look back over your own journey, reflect on how much you have changed whether you were conscious of it or not. It may help you better embrace the unexpected changes that you face today or the changes you want to make but are afraid to do so. You are not your name, your age, your appearance, your circumstances, your body, your ideas, your preferences or your mind. You are a soul, a light, here to discover love and follow that inner voice that can only be heard when you actually stop to listen. People, even loved ones, will come and go, and as much as we love them, it serves us best to do, be and have what it is we are authentically seeking. We may lose fans and then gain others along the way however the only way we will find our true purpose in this life is to be true to our self. The fans that stick around for the entire journey and love you no matter what, are the ones who really count in the end anyway. Woman, Mother, Wife and Writer (not always in that order). Previously a celebrity publicist representing a World leading Supermodel, New York Times bestselling author, musicians, inventors and even a British foot reader!